ASSE 1013 – Reduced Pressure Principle Backflow Preventer (RP) | Backflow Solutions, Inc. 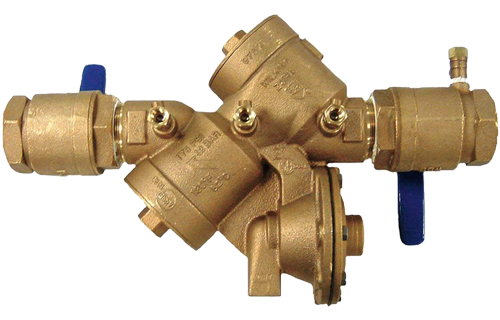 The RP backflow assembly consists of two independently acting checks with an intermediate relief valve. The RP provides maximum protection of all backflow assemblies by protecting against both backpressure and backpressure, as well as health and non-health hazards.